PLEASANTON, CA--(Marketwired - Sep 27, 2016) - WORKDAY RISING -- Workday, Inc. ( NYSE : WDAY ), a leader in enterprise cloud applications for finance and human resources, today announced the availability of Workday Student, an end-to-end student information system built for the evolving needs of higher education. Designed with input from more than 40 institutions, Workday Student is a mobile-first system that includes student recruiting, admissions, curriculum management, student records, academic advising, financial aid, and student financials. Workday Student is built into the core of Workday's suite of applications including Workday Financial Management and Workday Human Capital Management (HCM), helping students achieve their desired learning objectives while also enabling faculty and the entire institution to achieve goals related to enrollment, graduation rates, talent, and revenue. Higher education has changed significantly over the past two decades. Decreased funding combined with increasing enrollment costs and greater pressure for a variety of skillsets as students move from education to occupation have put significant pressure on higher education institutions to find new ways to help students achieve success. Current systems are rigid and inflexible, making it difficult for colleges and universities to embrace new learning models and engage students throughout their education experience. With this in mind, Workday has delivered a modern student system designed for the way universities and colleges work, preparing them for today and tomorrow, helping transform the way they recruit, service, and retain their students, ultimately equipping them to pursue meaningful career paths. Simplify Curriculum Management: Workday Student Curriculum Management enables registrars to create, manage, and maintain traditional courses as well as new course types. Additionally, registrars can manage enrollment policy and instructor scheduling, as well as utilize reporting and analytics to make more informed decisions about adding or canceling courses. For example, a registrar can add new course options such as cardiovascular-pulmonary resuscitation (CPR), and include parameters around eligibility and restrictions, teaching assignments, and data regarding enrollment and student progress in order to determine the success of the course. Extend Student Records Beyond Traditional Transcripts: A registrar's office can use Workday Student Records to extend the college transcript to highlight skills acquired by students beyond traditional coursework. For example, a student majoring in business who completes an internship in parallel with semester coursework can capture both experiences in a transcript, helping better prepare the student for their eventual job search. Manage Academic Advising with Insight: With the goal of guiding students to graduation, Workday Student Academic Advising gives a real-time view of academic planning elements, such as completed, planned, and unaccounted for requirements. In addition, the system provides students with alerts, reminders, and notifications throughout the entire academic planning continuum. For example, students can chart and access their four-year academic plan on a mobile device when registering for classes. Once students are registered, academic advisors are then notified and can review student schedules on a tablet in order to determine whether course loads are manageable and in line with graduation plans. Automate and Adjust Financial Aid in Real Time: Workday Student Financial Aid assists with all aspects of the financial aid cycle, from the Free Application for Federal Student Aid (FAFSA) application to disbursements and reconciliations. Seamlessly connected with the registration process, Workday Student Financial Aid enables colleges and universities to partner with students to forecast financial aid eligibility from enrollment to graduation. For example, a student can be alerted through the system when financial aid awards are ready to be reviewed, accepted, or declined. In addition, when registering for classes, the system will automatically provide notifications on courses eligible for financial aid or if the student has registered for too few credits. View and Manage Student Financials in a Single System: With Workday Student Financials, both students and administrators have a complete view of student financial obligations, including information on non-financial attributes such as course enrollment and residency status. Additionally, because Workday Student is built into the fabric of Workday's suite of applications, student financial payments are automatically connected with Workday Financial Management, ensuring the accuracy of student financial data from billing to payment. For example, a student can be notified when a tuition payment is due or past due on a mobile device. Once a tuition payment has been submitted, that information is automatically updated in the institution's revenue and expense statement for administrative staff to track. 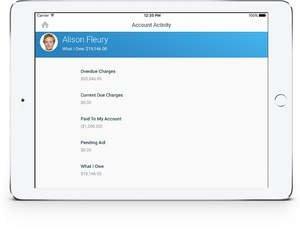 "Workday Student is a major milestone for Workday. Not only have we built a truly innovative product that addresses the way the higher education industry works, but we're delivering the industry's first cloud system built from the ground up," said Liz Dietz, vice president, student strategy and product management, Workday. "The higher education industry is at a crossroads where faculty and student expectations have evolved but the technologies they use are older than the students. Workday Student is a modern cloud-based system that engages students and staff at a time that matters most, with a flexible foundation that allows colleges and universities to explore new ways of helping students successfully move from education to occupation." "With a focus on educating the next generation of technologists and scientists, it's important we practice the things we teach and utilize the most modern technologies available," said David Dodd, vice president for information technology and chief information officer, Stevens Institute of Technology. "Workday Student provides us with a modern and engaging technology ecosystem that is designed to empower the members of our community with information at their fingertips, helping support student, faculty, staff, and institutional success." "Higher education is undergoing significant change requiring systems that can adapt and evolve with them," Navneet Johal, research analyst, education technology, Ovum. "Workday Student, delivered through a true multi-tenant cloud platform, will address the challenges of institutions staying current on their systems, and accelerate the wider student information system modernization trend."